View all the photos on Facebook here! 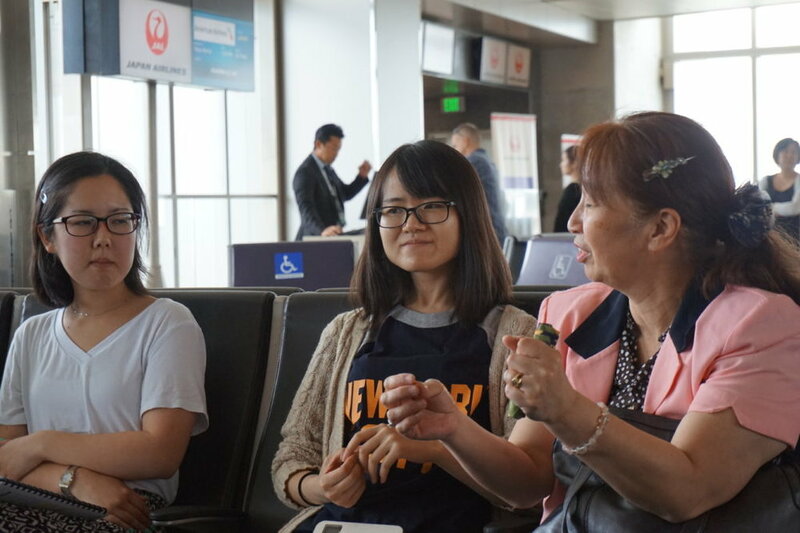 Upon returning to the United States after an incredible experience, the visionary behind this intercultural exchange, Naoko Hiraki, shares her gratitude for the trip and the impact it had on the students. This was such a transformational experience for the students and it has prompted much more collaboration between Japan, America, and Korea. There is more to come! Thank you, especially, to the donors and contributors who made this possible. 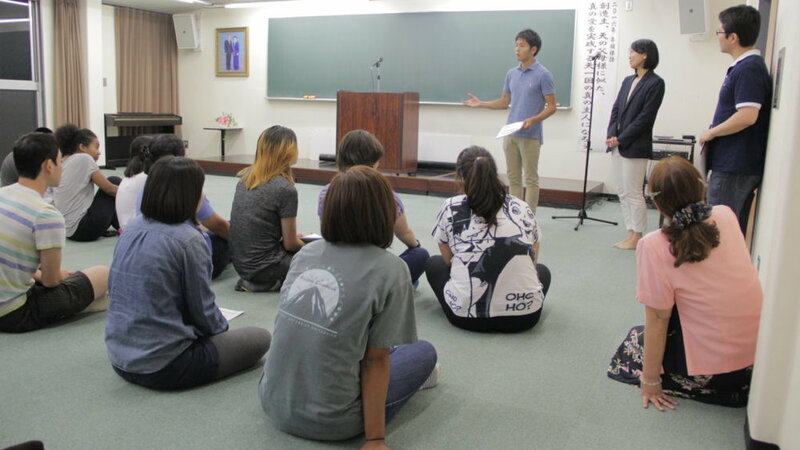 The students visited Manhattan Center Japan where Hyo Jin Moon (CARP’s past World CARP President) dedicated much time to developing his talents to serve the world. They even had a chance to share joy and fun in attending Disneyland while the leaders met for a strategic meeting on how to share resources between CARP in Korea, Japan, and America. Students had the opportunity to visit landmark sites in Japan including the ‘Golden Pavilion’ and a famous Buddhist temple. “I thought, ‘Wow America is really working hard! We have to do our best too!’ The testimonies were very good. I was amazed that students went out on campus and directly introduced content from the Divine Principle. This can only be possible because of the Christian foundation in America. 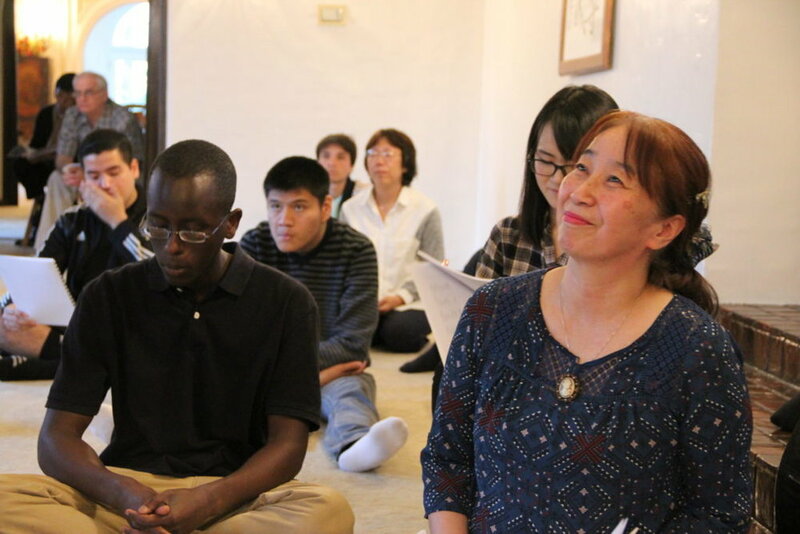 Japan and America are different in some ways, but we are both moved by the Divine Principle. I realized once again that there is no doubt that the True Parents are truly the parents of all humankind.” – Sayaka…read more! Today the group had a chance to hear a presentation from the “Tomadachi Initiative” which is a similar program to CARP. 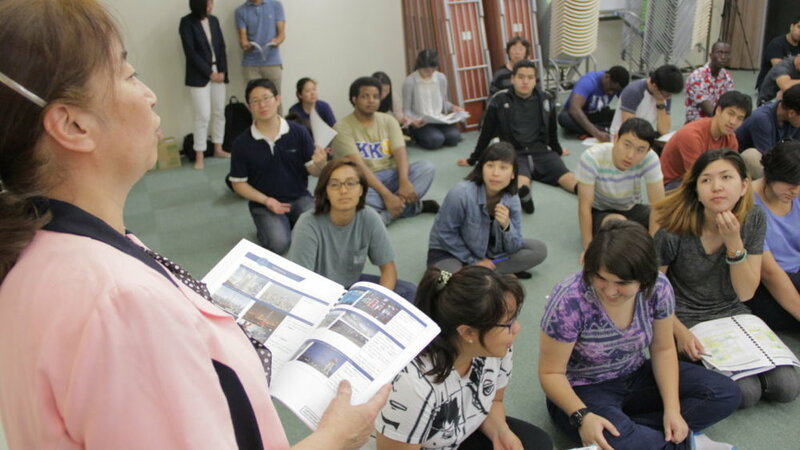 It aims to foster appreciation between the cultures of America and Japan and develop globally-minded citizens. The students also were well taken care of by the Chairman of the Blessed Families Federation in Japan, Rev. Song, and his team who welcomed them with a buffet lunch and gifts. Mr. Otsuka also gave a presentation on his experience with CARP and his nickname of…read more! Everyone woke up in high spirits today despite the pouring rain outside. Some of the guys went running in the rain while others did exercises indoors. We gathered in the morning to read some words from the autobiography of CARP’s Founder and our True Father. One of the passages that stood out was…Read more! 5/26 UPDATE: We Made it to Japan! After a long flight and a bus ride to their destination for the night, the team gathered to offer their gratitude and prayers. It’s been a long day for them with traveling but there is lots of anticipation as their experience in Japan begins. What a cool experience to travel together with 30+ other people who you know! Read more here. “Thank you so much for coming. When you go to Japan, you will feel the difference. There are many difficulties there, but I want you to encourage CARP Japan. That is the greatest goal and motivation for this trip. Japan has a lot of history, so we also want to inherit the spiritual treasures in Japan.” Read more here. 5/24 UPDATE: 2 Days Until Take-Off! Get ready for daily updates as we experience the beauty, history, and heart of Japan as our students travel there for the next 2 weeks! 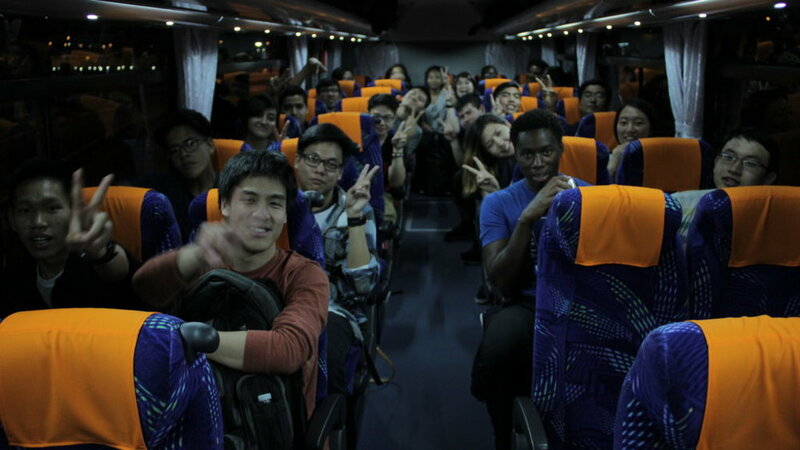 Get a taste of the participants’ joy as they prepare for their much anticipated trip to Japan. Read more here! ChungBom Katayama from CARP Las Vegas shares his reasons for joining CARP Los Angeles on their upcoming trip to Japan. 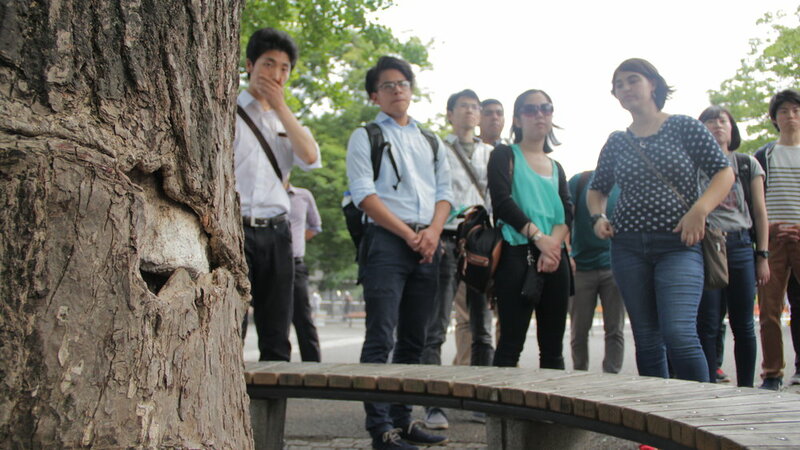 At the top of his list is the opportunity to exchange best practices with CARP Japan as the groups discover the similarities and differences between each other’s cultures, work styles, and motivations. Watch the video here! “I think it is important because it expands your worldview. It is an opportunity to see that there are so many people in the world. There are so many ways in which we can approach things. The way we feel and the way we love can all be unique and different. However, it is also important to find the similarities and appreciate that as well…read more here! The Collegiate Association for the Research of Principles chapter in Los Angeles (CARP LA) was established a year ago, and Hitoe Hiraki, a 22-year-old junior at Pasadena City College, has been its president for the past year. 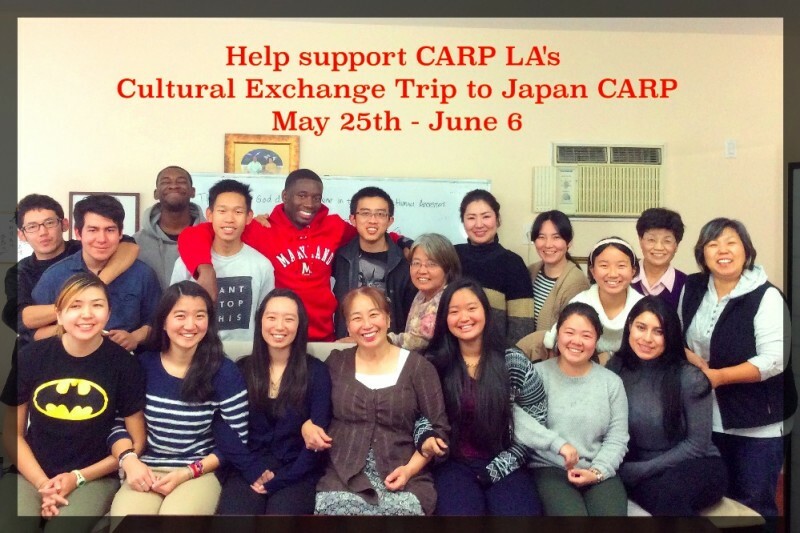 This is her last semester there before transferring to California State University, and she’s ending her term as CARP LA president by organizing an epic cultural exchange trip to Japan from May 25 – June 6. We took some time to speak with Hitoe and ask her some questions about her hopes for this trip, and how she plans for this exchange to leave a legacy at CARP in LA…read more here! Thirty CARP members will be visiting Japan from May 25 to June 6 to develop global bonds and inherit the foundation of CARP in Japan. These members include CARP students from all over the United States. Korean CARP members also heard about this initiative and plan to go to support, too! They need our prayers, support, and donations.